The first TEDWomen ever kicks off today. And the line-up of talks on the schedule is impressive indeed. Just for today's agenda alone, there will be the likes of Arianna Huffington, Ellen Johnson Sirleaf: the president of Liberia, Sheryl Sandberg: the COO of Facebook, Yang Lan: the media mogul of China, Nancy Pelosi, and Hans Rosling (yes there's also a pool of spectacular male feminists presenting). Day Two's company is equally as impactful with names such as Donna Karan, Madeline Albright, Jody Williams: Nobel Peace Laureate, and Jaqueline Novogratz, among a robust list of brilliance. 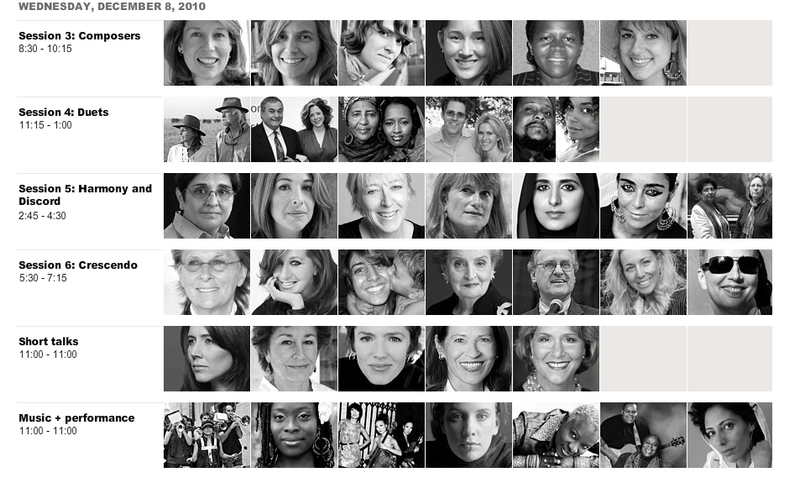 Have a look below to get a quick view of the speakers, plus a TED video by Isabel Allende to get a feel of the TEDWomen theme: Women Reshaping the World. New York, NY. Register to attend HERE. New York, NY. Go HERE to register.